Is that Rust on My Lawn? 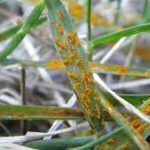 Have you been noticing an orange or yellowish powder on your grass blades? If so, it is possible that “rust” has caused this discoloration. This is a fungus which while not attractive, rarely kills grasses. It tends to occur in late summer, early fall whenever the weather is dry. It usually develops on grasses that grow very slowly, like Zoysia. Depending on the “rust”, it may appear as a yellow, red, or brown color. If you start noticing a color change on your lawn, get down to examine the blades closely. If the culprit is rust, you will notice powdery, rust spores on the grass blades. They will easily rub off on your hand. It is regularly spread by air, water, shoes, or lawn equipment. If you are also having excessive rain for a long period of time, rust outbreaks are more common once conditions dry out. There are ways to eliminate a rust problem. First, you should maintain your grass by properly watering, mowing, and fertilizing. You should water early in the day, so the grass will dry quickly. If you have thatch built up, you should get rid of that as well. 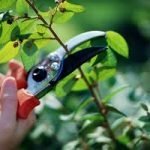 Lastly, by pruning your trees and shrubs, you will allow good airflow over the rust site, which will assist you in defeating it in time. 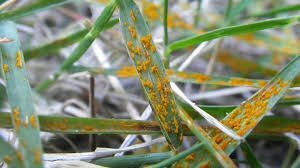 Overall, rust can develop in your lawn for a number of reasons. Most of the reasons are based on the weather conditions, which you unfortunately cannot control. Do not worry though because there are many ways that you can eliminate rust without the use of harmful products. There are organic fungicides now available. 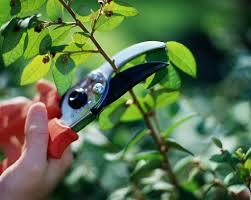 Natural growth is the best solution; however a little fertilizer will speed that process.